The NYC Health Department announced today that it has closed a child-care program in Williamsburg for repeatedly failing to provide access to medical and attendance records. The Health Department charged that this facility was in violation of an Order of the Health Commissioner in response to the current measles outbreak, which requires child-care programs to exclude unvaccinated students and staff. In addition, it requires child-care programs to maintain medical and attendance records on site and provide the Department with immediate access. According to a Health Department statement, an Orthodox child-care facility in Williamsburg failed to provide access to those records, making it impossible for the Department to determine whether the child-care program has been excluding children and staff as required. The Health Department said their staff will monitor the school to ensure it is following the closure order, and the center will not be allowed to reopen until its staff submits a corrective action plan approved by the Department. 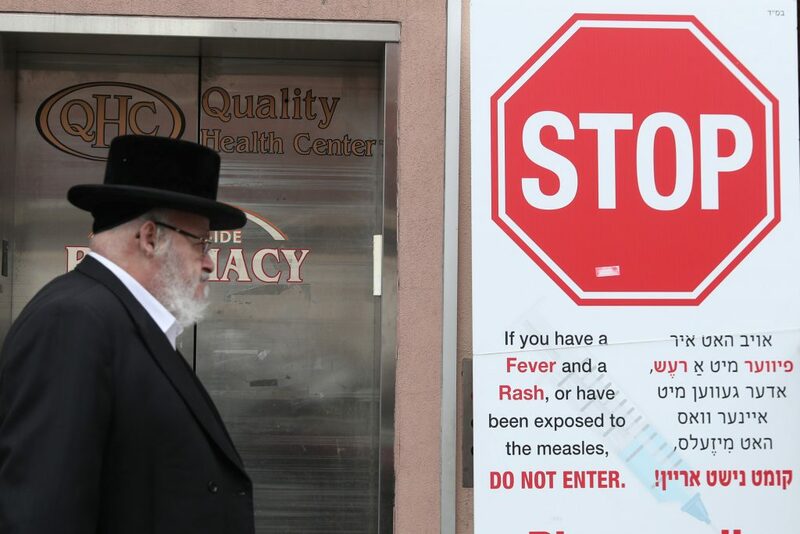 To date, 329 cases of measles have been confirmed since the beginning of the outbreak last October, with 44 additional cases added since last week’s emergency order from the Commissioner.